Investigators examining the explosive devices sent to high-profile targets in New York, Washington and elsewhere will be working to glean forensic clues to help identify who sent them, gathering fingerprints and DNA evidence while tracking the origin of the packages and the components used to make the bombs. Larry Johnson, a former head of criminal investigations for the U.S. Secret Service who also served as a special agent in charge of the presidential protective detail, said that bomb makers usually leave evidence behind. "If there is a human involved, there is a high probability you're going to get somewhere investigatively," he said. "There will be no stone left unturned." Johnson said it is highly likely that the person or people who built the bombs have been previously flagged by law enforcement. The Secret Service maintains an extensive database of individuals and groups who have made past threats against presidents or other top political leaders, either through letters, emails or on social media. Within five days, apparent explosive devices were detected in the mail addressed to Democratic politicians Barack Obama, Joe Biden, Hillary Clinton, Sen. Corey Booker and Rep. Maxine Waters; billionaire philanthropist George Soros; the New York City offices of CNN and others. No one was hurt and investigators are working to determine if the incidents are all linked, though many of the devices appeared similar. "A good percentage of the time, this is not the first time whoever is responsible for this will have stuck their neck out," Johnson said. "Those looking to do revenge or harm to someone, it doesn't just come to them one day." Among the first steps for investigators will be retracing the path of the packages through the postal system or courier service used to deliver them. The U.S. Postal Service operates a sophisticated imaging system that photographs the outside of each piece of mail processed across the country and can be used to determine the specific location of where it was sent. That's how federal officials were led to a woman who sent poison, ricin, through the mail to President Barack Obama and then-New York City Mayor Michael Bloomberg in 2013. The envelopes and packaging materials themselves will also be closely scrutinized. "It will be a treasure trove of forensic evidence," said Anthony Roman, a private security and investigations consultant. "As human beings, we are filtering off our DNA everywhere we walk, everywhere we sit." Even the most careful bomber is likely to leave behind genetic material that could be used to identify them, especially traces of sweat, saliva or skin cells. There may also be fingerprints or hair. 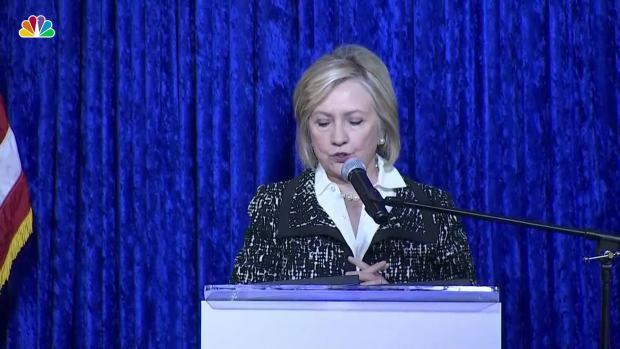 Former Secretary of State Hillary Clinton was in Florida campaigning for Democrats when news broke that a suspicious package was sent to her family’s home in New York. She said she was thankful for the Secret Service and condemned hate. Roman said investigators will also be collecting all available video camera footage taken from where the packages were mailed and delivered, as well as interviewing any potential witnesses in the area. Because the devices were intercepted before they exploded, forensics experts will be able to carefully disassemble the devices and examine the components. They'll examine the wiring, the initiating system, any timing device and seek to identify what type of pipe. The design of the bomb will be compared to other explosive devices recovered in the past. Adam B. Hall, director of the Core Mass Spectrometry Facility at the Barnett Institute of Chemical and Biological Analysis at Northeastern University, said most devices are made from easily available materials regardless of what specific type of device it is. It will have three primary components: the pipe, the explosive filler and an "initiator," or mechanism to set it off. The initiator will help identify how sophisticated the bomb maker is, whether it's a timing device or a remote trigger. "Your typical pipe bomb, it's not very sophisticated," said Hall, who previously worked in the Massachusetts State Police crime laboratory and was involved in the Boston Marathon bombing investigation. "A lot of the directions for this are available on the internet. ... This is not something that would require days or weeks of planning in order to execute." Still, there are likely innumerable telltale signs that could help authorities track down how and where it was made, said Jimmie Oxley, the co-director of the University of Rhode Island's Center of Excellence in Explosives, Detection, Mitigation and Response. Some explosives can be homemade, which will make them more difficult to trace. But other materials must be purchased and can help narrow down where and how a device was made. Smokeless powder, for example, is virtually guaranteed to have been purchased. Black powder can be commercial grade or homemade, but it's easy to discern which is which. "All of these are signatures," she said. There are times, such as with the recent spate of bombings in Austin, Texas, as well as with the notorious Unabomber, when each device will have a different "signature" in an attempt to throw off authorities or as the person making the devices tests and finesses their technique. Oxley said there will still likely be some commonalities that will allow law enforcement to zero in on a suspect or suspects. "It's not an insurmountable task," Oxley said. "There's a ton of evidence out there. Unless this is a really, really smart person, they will find out who did this." 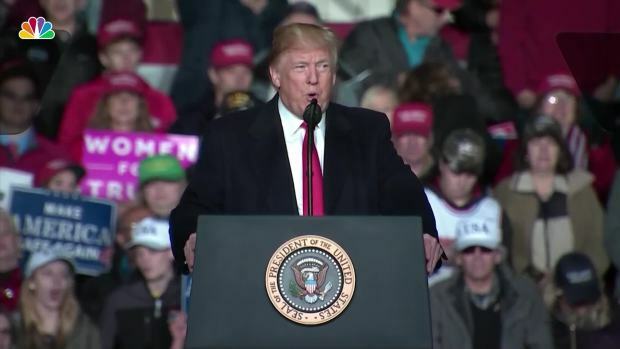 At a campaign-style rally in Mosinee, Wisconsin, on Wednesday, President Donald Trump called on the country to come together after packages containing explosive devices were sent to prominent Democrats and CNN’s NYC offices.